Lubyanka - is one of the most beautiful central districts of Moscow with rich historical and architectural heritage. To walk around the Lubyanka Square is like to dive into the history. It occupies the small area, not far from the Red Square. Lubyanka Square is surely worth seeing. At first sight it could look rather formal. But you just have to take a closer look and you will see a magnificent monumental building from 1897–1898, It is best known as the main building of the KGB ( today of the FSB). These days it`s partly a museum, expositions of which can`t leave one indifferent. 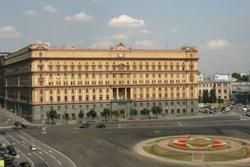 While the principle FSB building is the administrative grey one now. Also, according to the popular rumors, the prisoners had their walk time on the roof of the building. And the roof with its gratings speaks the history itself. 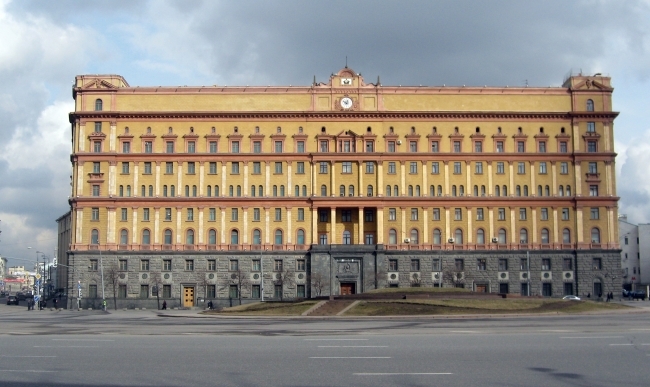 Even the word "lubyanka" allegorically is associated with the state security agencies. 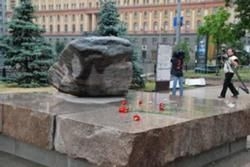 One of the sights of the square is the Solovetsky stone from the Soviet Gulag Solovki camp. It`s a memorial to the millions of the Totalitarianism victims. The State Polytechnic Museum, facing the Lubyanka, is decorated with various thematic decors. It`s a state science museum, one of the largest in the world; it emphasizes the progress of Russian and Soviet technology and science, as well as, modern inventions and developments. The Mayakovski museum is the other one of the square; it has literature exposition, devoted to the legendary poet, representative of the Russian vanguard Vladimir Mayakovski. Lubyanka has a great view to one of the Moscow skyscrapers on the Kotelnicheskaya Embankment and runs on with different little streets - beautiful and interesting, exiting and calm. Sometimes you can even forget you are in the middle of the capital. The square was the place not only for the Russian aristocracy, in time, foreigners started to populate it too, especially the French. That even influenced the name of the nearest Furkasovski side-street –it was named after a famous wig master of that time, who lived in the area. There also is the Church of St. Louis of the French - the catholic temple in Moscow. During your walk in the district you can always enjoy the amazing mixture of buildings from different periods, colorful churchlets and houses, some of them still have a practical use, others` life stayed in the past and now they serve as monuments, sights, and, of course, culture and history keepers. As for the square and its surroundings, it`s that old Moscow, where we can still meet signs with the pre-revolutionary orthography. But in spite of the historical character of its center with old mansions, Moscow is the modern city and there is always new architecture, ready to be on the foreground. These changes are very interesting, for example, there is a church near the square, among the Soviet buildings, the foundation of which was built in the 17th century. It is the Church of St. Sophia. It looks like a toy now, but in the 19 century it was rather imposing object in the square. You can meet such a surprising combination as a cute old house close to the official modern building rather often. It looks really charming and even funny. Also, pseudo-gothic houses of old Moscow merchant society get a little lost among bright advertising and new buildings. Even old ones have a tendency to become more advanced. For example, the dream of all soviet children - Detsky Mir (Children`s World), the semi-century building on the square is closed for major reconstruction. In some yards, we can see graffiti, the bright mark of modernity. The central location and the character of the district explain the popularity of the place for shops, cafe, and restraurants and other attractions. Lubyanka`s apartments are considered as a prime location. Such historically rich place as Lubyanka can be talked about a lot. 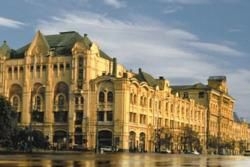 There are many excursions one can take to the square or some other Moscow sight to see everything with one’s own eyes.